You know when something is so stressful, sometimes we say it’s bad for our heart? Add eczema to that list. This is a data analysis, meaning having eczema does not cause you to have a heart attack. However, it is a reminder that we have to be even more vigilant at taking care of our health and not letting eczema literally take over our life. If sweat triggers your child’s eczema, opt for other less sweaty exercise or find a setting that allows for showering and moisturizing after (sweat residue irritates skin for some). Keeping fit helps reduce obesity and likely improve sleep. When you’re making an effort to be healthy, it is less likely you will eat poorly, drink and smoke. Choose a diet of fresh fruits and vege, cut back tans fat and sugar, quit smoking and you’d reduce risk of diseases by 80%. 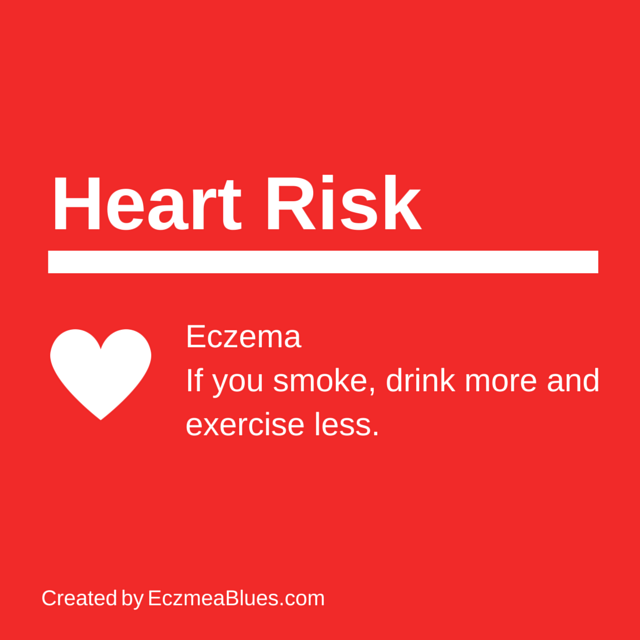 Eczema is bad for our skin, but not let it be bad for our heart or our life. the weekly stories shared in 2013. Mom NeedyZz Cartoon – I don’t care about Cute Baby, I want Sleep!